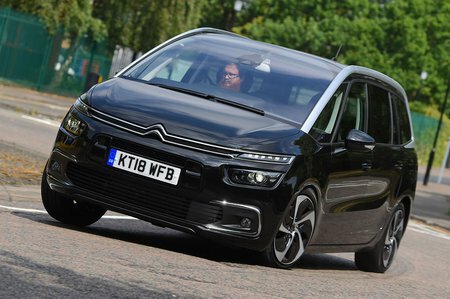 Citroën Grand C4 Spacetourer Performance, Engine, Ride, Handling | What Car? The 129bhp 1.5-litre diesel is easily up to the job of hauling around seven people and a bootful of luggage. A more powerful 2.0-litre diesel is also offered, but it delivers its power in one big surge as the turbo kicks in, so you have to change gear fairly often to keep the engine in its sweet spot. We'd save our money. There’s only one petrol engine, a 128bhp 1.2 turbo. It's a surprisingly flexible performer, although the diesels make far more financial sense unless your annual mileage is very low, largely because they'll hold onto their value better. The Grand C4 Spacetourer’s supple suspension deals with big bumps pretty well, so you won’t wince every time you encounter a speed bump. Unfortunately, patchy, eroded surfaces unsettle the car a little too easily, especially at low speeds, meaning a trip through town isn’t as comfortable as it might be. The body also tends to bounce up and down a fair amount along undulating country roads. You’ll want to keep your speed down if any of your passengers are prone to travel sickness. 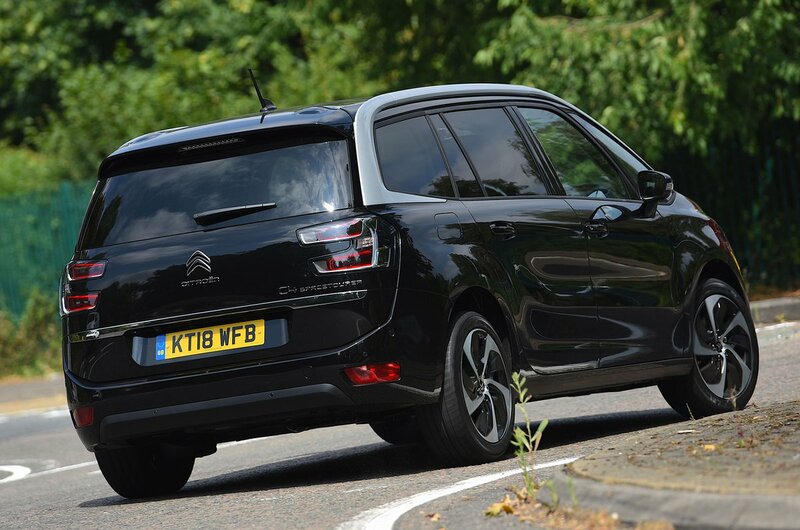 The light steering makes easy work of parking and low-speed manoeuvres. However, it’s also rather numb, so doesn’t inspire confidence on faster roads. The Grand C4 Spacetourer sways around quite a bit through tight twists and turns, but it never lurches around uncontrollably, and there’s a reasonable amount of grip, so you always feel in control of the car. You’re rarely aware of its relatively large size, either. 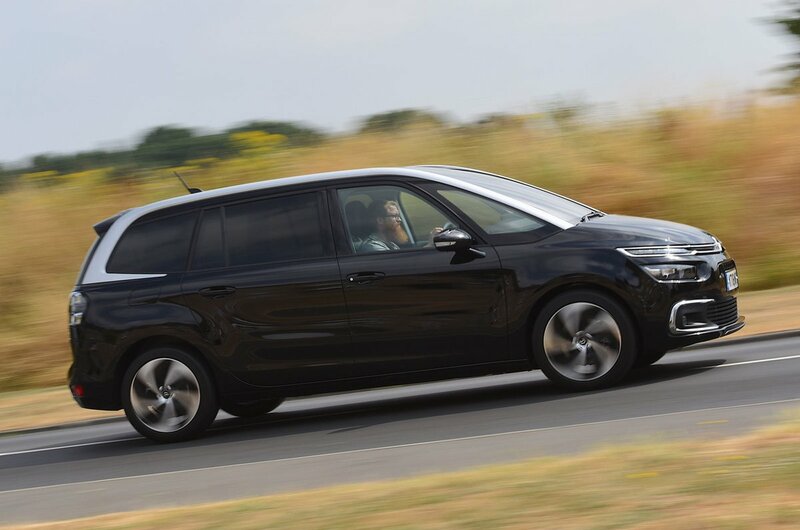 Just don’t expect to have much fun; the rival Ford S-Max and Volkswagen Touran are more more enjoyable to steer along a winding B-road. The 1.5 diesel is smooth and generally quiet, whereas the 2.0 diesel is noisier, and sounds gruff and clattery – even under moderate acceleration. The manual gearbox has a notchy, imprecise shift, while the semi-automatic EAT6 'box causes the car to lurch between changes. There’s a conventional eight-speed automatic gearbox available on the 2.0 diesel, and while it swaps cogs more smoothly, it's still quite slow to respond when you ask for a sudden getaway. In fact, it can feel downright ponderous in some situations. Overall refinement is otherwise good, though. Wind and road noise are well suppressed, making the Grand C4 Spacetourer a relaxing motorway cruiser.